This post was originally published on Design Instruct. Is your website slow? Use these free website speed testing tools to get information about your website’s loading speed and performance, as well as an understanding of issues that slow your site down. Pingdom’s free website speed testing tool not only looks great, but also gives you all the information you need to know about your site’s performance — load time, page size, a detailed page analysis, and more. This free tool presents useful visuals about your website’s speed. Note: If you don’t sign up for an account on their site, your website’s performance info will be publicly available on their site. As its name suggests, Google PageSpeed Insights provides you with insights about your website’s speed. This free tool will tell you about the performance issues it finds on your site, as well as give your site a performance grade. 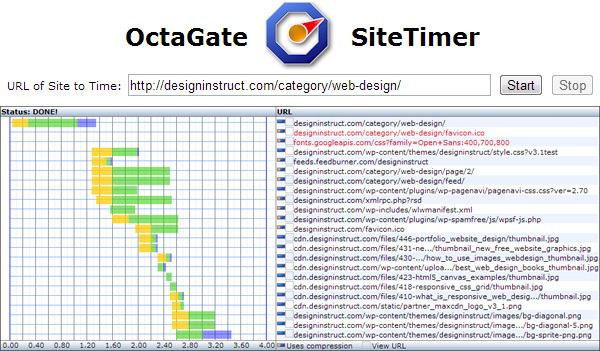 OctaGate SiteTimer shows you a waterfall timeline of how objects on the web page you’re testing is being downloaded. It also tells you how long it takes for your web page to load completely. GTmetrix is awesome because it also tests your site with YSlow (which is generally only available as a browser extension or a command line tool). Also, the tool allows you to download your results as a PDF, which might be useful. 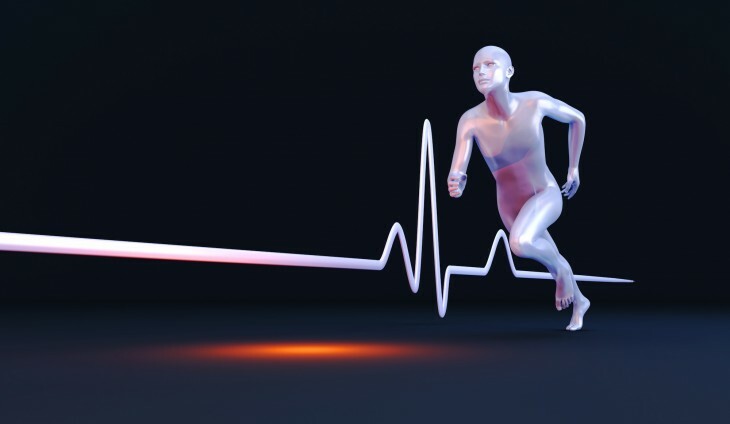 There are lots of tools that can test your website’s speed and performance. After reviewing a lot of these tools, I picked the top five online website speed testing tools I could find and discussed them above. Which loads faster? – allows you to compare two websites to see which one loads the fastest. Web Page Analyzer – A simple tool that gives you lots of data about a web page, such as a summary table of the objects in the web page being tested. WebPagetest – a basic site speed testing tool. If I missed your favorite website speed testing tool, please feel free to discuss it in the comments. Read next: "I hired a developer on Elance to build my first iPhone app, this was my experience"